Elevate your Practice to The Cloud! not paperwork, with our complete practice management solution! Now the care really is in your hands! The most innovative SOAP Notes app for chiropractors goes mobile! 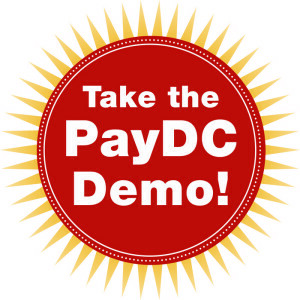 Developed by chiropractors for chiropractors: PayDC solves your biggest patient care needs and simplifies your day-to-day work. 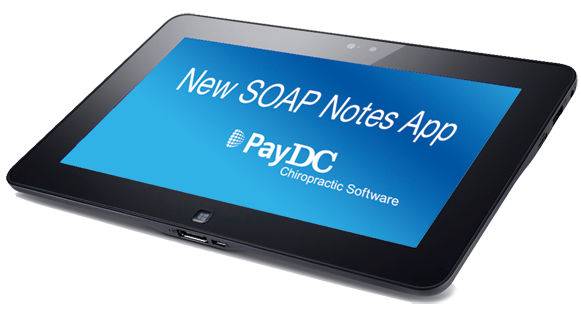 PayDC Chiropractic Software is helping thousands of chiropractors like you simplify and improve every aspect of your busy practice, from SOAP notes to patient scheduling to billing. We understand that you want to focus on patient care, not paperwork, so our certified chiropractic billing and electronic health record (EHR) software is dedicated to simplifying work for you and your staff! Our internet-based practice management software makes it easier to run your office, stay compliant and significantly increase your revenues and profits. Read more about our innovative desktop and mobile solutions, schedule a free, no-obligation online demonstration to understand how it all works, then subscribe to our chiropractic billing and EHR software services to improve your practice forever!